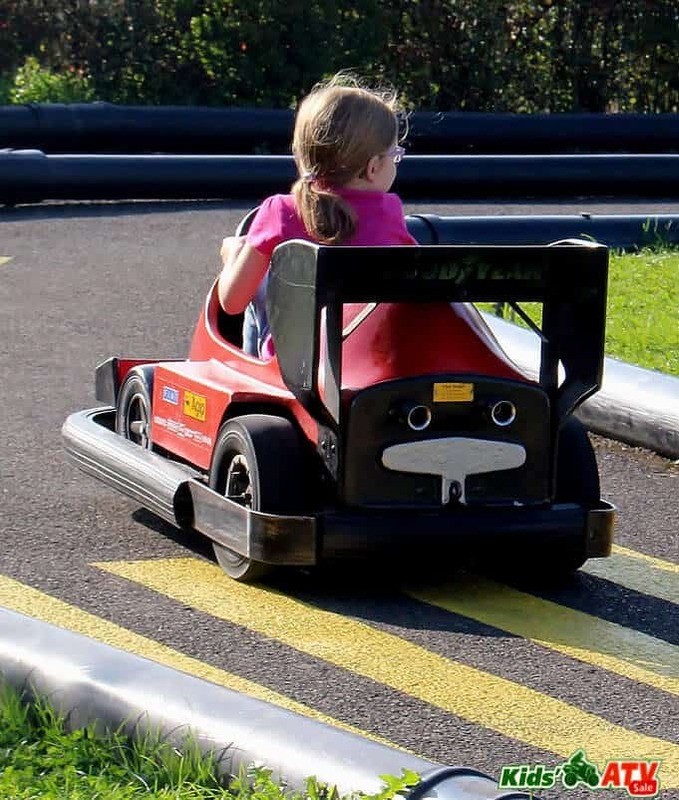 KidsATVsale.com » Go-Karts for Kids » What is a Gas-Powered Go-Kart? Karts are small four-wheeled vehicles. They come in all shapes and forms, from pedal-operated models to high-powered gas-fueled vehicles. Fun vehicles used on tracks or at amusement parks may be powered by 4-stroke engines. Racing karts use small 2-stroke or 4-stroke engines. Models can be single seaters. However, most recreational models can accommodate a passenger. When choosing a gas-powered fun vehicle for your child, there are several things to consider. Why Choose a Gas-Powered Vehicle? Speed: While acceleration is not as fast off the line in a gas-fueled engine as it is in an electric-powered kart, in the long run, because it is lighter, a gas-powered engine is faster. Weight: Gas-powered vehicles are a lot lighter so loading and unloading them is a lot easier and safer. Efficiency: Where electric motors require recharging of at least a half hour every twenty minutes gas engines can quickly be refueled and off again. They also run much longer on a tank of gas reducing the number of pit stops. Economy: Batteries for electric-powered engines are expensive. They also have to be recharged frequently or they will lose their charge and have to be replaced. This is cost and labor intensive. Four-stroke engines are available from five to twenty horsepower. Briggs & Stratton, Tecumseh, Kohler, Robin, and Honda make these gas-powered engines. All are suitable for racing and fun karts. More powerful four-stroke engines can be purchased from manufacturers like, Yamaha, KTM, Biland, or Aixro’s Wankel engine. These offer anywhere from 15 horsepower to 48 horsepower. Generally these are way more engine than a kid needs or should be driving. The PRD Fireball has a two-stroke engine delivering 28.5 horsepower. A general rule: The two-stroke engine is appropriate for kids and recreational use. A four-stroke engine is more appropriate for racing and for adult use. Best kid beginner engines are fifteen horsepower two-stroke engines. Vehicles used in amusement parks and on private or commercial tracks can be fitted with additional remote speed limiters. This encourages safer operating by children. If an accident occurs or the kart your child is driving goes out of control the vehicle can be remotely slowed down or stopped. It can also be used to limit young riders’ operating speed. Gas-powered engines are not recommended for indoor kart tracks. Make sure to consider driver experience as well as size, age, and weight of the child who will be riding the vehicle. Choose a pedal-powered kart or one with a very small engine for the beginning driver. After he has acquired some driving experience, then you may choose a vehicle powered with a more powerful engine. The lighter the rider, the smaller the engine should be. There are a lot of options when choosing a gas-powered go kart. Before you buy think about the child’s age, experience, and size. Also consider where he will be using this toy. Then talk to a reliable dealer.